Since I started selling on Etsy not only have I met the most amazing, genuine people with whom I can relate in so many levels, but I have discovered an ongoing source of inspiration. Creativity inspires me so much. I find it coming from discovering a new shop via the Front Page or through the grape vine of the blogging world. It is how I discovered Stacy Altiery, the genious behind InkSpot Workshop. I was instantly smitten by the simplicity of her line, the color combinations and the way she puts everything together. Stacy also keeps a blog where she shares bits from her life and doses of inspiration from her lovely finds. I can’t wait to share this interview with all of you. Take a seat and enjoy! 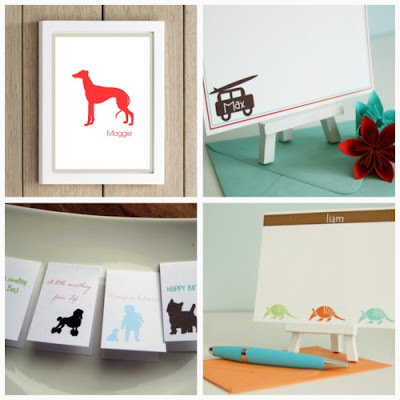 My name is Stacy Altiery and I’m the imagination and staff behind InkSpot Workshop (est April, 2008) and Fire Hydrant Press (est December, 2008), both stationery shops on Etsy. The business is run out of my house in Atlanta, GA, which I share with my ever supportive husband, super energetic 3 year old son and our 2 “senior” pound puppies. In addition to running InkSpot Workshop, I am a sales representative for a large medical device manufacturer out of Franklin Lakes, New Jersey. Yes, I have seen the new “Real Housewives of New Jersey” and so far have not seen too many folks around our corporate offices like that. I have been crafty my entire life. As a kid in the 1970’s I latch hooked many rugs, made tons of Shrinky Dinks and macramaed my fair share of beaded chokers. However, it wasn’t until I got into professional sales that I realized my graphic design potential. I have made many promotional flyers using my company’s logo, of which I’m sure our legal department would take issue with. I then took my new hobby to another level when I designed all of my wedding paper goods, back in 2004. We had a destination wedding in St. John, USVI and I had a specific “look” I wanted and just made everything myself, including invites, menus, agendas, you name it. It was then that the real paper crush began! Of course the birth of my son 3 years ago put my passion for design into a new light and I became even more creative with my productions. Then, a year ago my friend introduced me to Etsy and InkSpot Workshop was born. I love selling as much as I love to create which is why my side business is such a perfect fit with my day job. I have several different degrees including a Bachelor’s in Business Marketing, and two different Associate’s in Fashion Marketing and Culinary. I love to cook for a creative outlet, but only when there is enough time. I do not enjoy cooking just to “eat” meaning we go to restaurants quite frequently. Time for recipe experimentation usually happens on Sundays; when there is time to cook. What I appear to be saying is that I have ADD! How do you run a business while being a mother to a young child? Lots of help! First I must say my husband is an amazing father and very supportive of InkSpot Workshop, which helps tremendously. He also works from our home and is in medical sales too, so he completely understands my work pressures. Do you have a studio/work schedule? What works for you? Well, I guess you could call it a schedule? I wake up at 5:00 am every morning, including weekends. Sometimes I will allow myself to sleep in on Saturday, depending upon how many orders need to be filled. During the week my son and husband usually wake up around 7-7:30 am, so I get a few hours of peace and quiet in the house. The afternoon is broken up between going on sales calls to see doctors and nurses and making stationery. How’s that for using both sides of your brain? From 5-8:00 pm I am a mommy, and then from 8-10:00 pm I’m back in my workshop taking care of orders. Sadly, my Tues+Thurs (6-7pm) gym schedule has fallen off the chart, so I’ve just recently gotten myself back into Pilates training with an instructor. It is so hard to take time away from your “family time” to do something just for yourself, when you already spend all your time away from them. 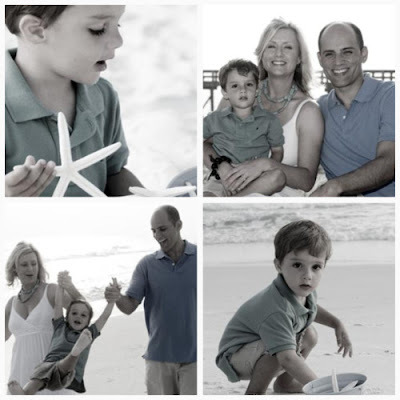 How do you separate working on your growing business from spending time with the family? Any tips you would like to share with us? This is a constant struggle with any working mom and one that I feel guilt about on a daily basis. You never really separate the two worlds, especially when you are passionate about your work which is almost like another child. What I have been doing is trying to make sure that when it’s “mommy time” or “wifey time” or any other time that I’m not in my workshop, I’m living IN the MOMENT. Meaning I’m completely focused on where I am and who I am with, rather than stressing about stationery orders that need to be filled or calls I need to make to my medical customers. Lastly, I do not participate in craft shows or fairs, but thoroughly enjoy attending them as a customer. It would be a ton of work for me to print everything in order to fill a booth. Right now I print each order when it comes in so I’m not sitting on a bunch of inventory. Most craft shows are on the weekends and that would be cutting into my family time and I must draw a line somewhere. Not to mention a show allows you to reach only a “finite” number of potential customers. It makes more sense to me to focus all energy on my business as an online format, because the world is my customer, not just the local people who attend a craft fair. What’s your idea for a perfect day? The perfect day includes a peacefully quiet morning start with a cup of strong coffee in my favorite mug. Then I realize my early mornings and late nights have paid off because I am all caught up! … And now I get to spend the day with my family, carefree and spontaneously. These days really do happen and I am ever grateful when they do. Do you keep/have a wish list? What’s on top of the list? I really don’t keep an actual “wish list” on paper, but naturally have a bunch of “wishes” in my head. The top of that list would include travelling abroad with my husband and son. We constantly toss around ideas for our next trip and lately Switzerland has looked pretty good. Burt’s Bees beeswax lip balm, in the original flavor, not the fancy new versions. I keep one in my office, bedroom, bathroom, car, and of course cosmetic bag. 1. Listening to my son sing a song. Especially when he thinks he knows the words, it’s just hilarious to hear what his little mind comes up with and he tries to interject the word “shark” where ever he can. 3. Hearing the words “good morning mom” and the pitter patter of little feet. Every morning when my son gets up he knows mommy is in the office. He runs down the stairs and into my office with this super sweet greeting, straight into my arms and followed with a big hug and kiss. Such a great way to start to day. 4. When I get a creative impulse and see the idea on paper for the fist time. 5. Climbing into my bed when it has freshly cleaned sheet that are nice. Wow, thanks for sharing your tips with us Stacy! and don’t forget her blog for more insights in her life and business. The post Featured Artist Stacy Altiery of InkSpot Workshop appeared first on Le Papier Blog.